Mobile devices such as smart phones and tablets are gaining in popularity and gearing up to become the biggest competitors to notebooks, laptops and e-book readers. Over the last couple of months, there has been a heated battle between a variety of different manufacturers and models and the sales keeps on soaring. As more people are beginning to access the web through various mobile devices, businesses will have to rethink their internet marketing strategies to adapt to new ways their information can be accessed. Here’s a couple of tips to help you integrate this new trend in your marketing mix. As more people start to access content through mobile devices, the need for mobile formatting is becoming very important. Social media channels such as Twitter and Facebook have already adapted to this change and you can access those channels with ease through your mobile device. If your website and blog has not been formatted to be used on mobile devices, hire a designer to help you with this. 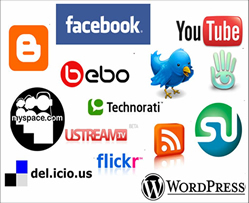 Dynamic content plays a big role in social media. Your social media profiles, website and blog can have plenty of multimedia content such as videos and images that will greatly enhance your visibility and the experience that customers have when they engage with you. Always be sure that your videos and images are of high quality and they are relevant to your brand and company. Tablet and mobile users are drawn towards updated content (social media channels) and are more likely to seek news content on these devices. Tablet and mobile device users can access content on their mobile devices at any time of the day, there are no peak visiting times and so they are looking for updated and relevant information on the go. With your social media strategy, look for opportunities to link content to current events. Even though tablets are new to the digital scene, they are already changing the way we interact with content. Change your social media strategy to ensure that you will stay visible to your customers.